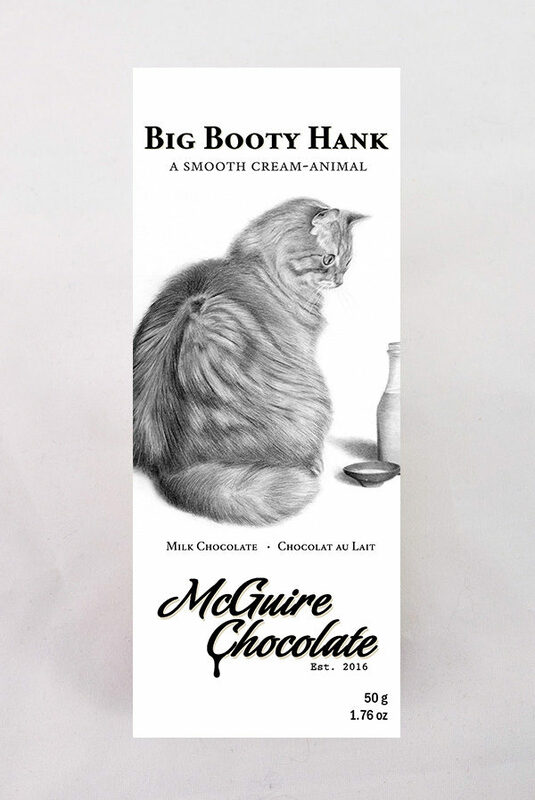 Where’s that Big Booty Hank? This creamy decadent milk chocolate is made from cacao beans directly purchased from Nahua in Costa Rica. The image of The Big Booty Hank was captured in pencil by Calgary artist Jim Little of Draw Borderless. *This chocolate is for human consumption only. Do not feed it to your pets.